Studying at UCL? My Baggage can give you a hand with your luggage! It’s cheap, it’s easy to book and it will make your journey to and from university, absolutely stress free. My Baggage are the Student Shipping Experts! 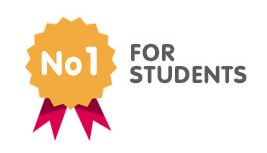 We’re the only company that specialises in student shipping, helping 30,000+ student all over the world. It’s cheap! It costs from £16.99 to send a 30kg case. Delivery to and from 200+ countries worldwide. If you have luggage to transport to and from UCL, simply book online and My Baggage will move it for you. Visit our homepage, get a quote, enter your collection and delivery details and book! After that, we’ll do the hard work. We’ll collect your luggage from your student house or flat and deliver it to where it needs to go. We know that when you hand over all your luggage to a shipping service, you want to ensure that it’s in the best possible hands. For that reason, we provide you with a door to door service for that extra peace of mind. You’ll also get full online tracking as well as SMS and email notifications. We recommend booking your My Baggage shipment about three days in advance, but if you’re not the most organised person on the planet, don’t worry – you can book right up until 10pm the night before you want your items collected. Once your luggage has been collected, it will be delivered in a flash! We offer an Economy service (2 days) and n Express service (next day) within the UK. International deliveries will take between 1-4 days, depending on your route. My Baggage provides a door to door service. If you are living in halls of residence at UCL, our couriers can not collect and deliver luggage to individual rooms. Your luggage will be collected from/delivered to the halls reception or postal room. We recommend checking the exact location before placing your booking. Simply phone or ask a member of staff at your halls of residence and they will be able to tell you. University College, London has a large number of international students due to it’s high level of education and location in one of the world’s most vibrant cities. If you happen to be one of those international students arriving at the start of term, or leaving at the end, My Baggage can help you too! 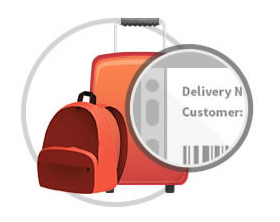 My Baggage provides student shipping within the UK and international student shipping to 200+ countries worldwide. Of course, the best thing about My Baggage is the price! It costs from as little as £16.99 to send a 30kg item with us. That’s up to half the price of airline baggage, and double the weight! My Baggage is significantly cheaper than hiring a man in a van or booking with a courier. It’s more convenient than putting your belongings into storage and much easier than taking all your items with you, whether you’re travelling by plane, bus, boat or train. We also offer a very handy Price Match tool. So, if you do happen to find a cheaper price elsewhere, let us know and we’ll try to beat it.